Re: Athy's Graphics Shop- 3 slots open! athdaraxen wrote: How about some creature hoarder badges or something? Left side: Void Dragon- themed. Purple is fine but not so much that the whole thing appears too purple. You can use the hatchling and/or the adult. Right Side: Er maybe make a link to my art thread here? I'll use the banner you made in my profile You can go with the same colour scheme as the banner or just go wild. I like noctis enoxes, amphistas, ceberuses, piasa birds, pillagebeasts, alagos, dark basilisks and ice dragons, for a rough idea. 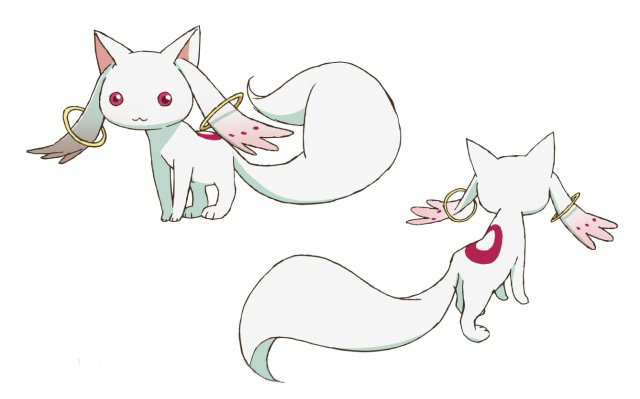 You can also use pics of Kyubey (the creepy white fox thing in my avatar). Anything Else? : right side with text Sil's Doodles/Doodles for Crittles, whichever you prefer. If you have the time/inspiration, I'm willing to pay for multiples of the right side pic, each with a different 'theme'. But if you don't then one pic is fine Thanks! And is that what that creepy whatchamawhozit is? What anime is that thing from? And if you want I could make a rotating banner, that changes with every refresh. I'll have this done soon. I'm at work currently and school, I have a class at 2 PM so I have to get out of there first, but I'll have these done tonight! Anywho, I'll have it done eventually. What do you think? I ended up making a button for both genders of hummingbird, you can use both. That'll be 500g for all 3 buttons. Re: Athy's Graphics Shop- 1 slot left! Thanks for the buttons and banner! I love them! IF YOUR IMAGES RANDOMLY SEEM TO HAVE BROKEN PM ME PLEASE, THERE WAS A LITTLE GOOF UP ON MY END, EASILY FIXED SO NO WORRIES, BUT PM ME IF YOUR IMAGE WILL NOT SHOW UP! Should be fixed now, if not please PM me! Thank you! They're AWESOME!!! Could you maybe make them move, please? Like, there were two moving antipixel buttons in the examples spoiler; can you have the Aurorae Market and 2012 Raffle buttons move like the first (like the button for your art shop) one and the LTB move like the second? You mean like the Hidaka and cat creature sale ones? Yeah I can. It'll just be a couple of days. Alright? I hate to make you wait but my weekend is gonna be busy, so it might not be until Monday until I can do them, I hope that's alright? Awesome. Thank you for being patient! Anything Else? : Ahatever gold you want. Details & Colors: Banner: "Special Numbers and Dates". Button: "Special Dates". And oooh I'm on the GL!